Built on a site where an abbey was founded in 864, Sainte Marie-Madeleine of Vézelay (11th-13th century) was a major Romanesque pilgrimage church in Burgundy and remains the largest abbey church in France. The relics of St Mary Magdalene are reputed to be housed in its Carolingian crypt. St Bernard of Clairvaux made his impassioned call for the ill-fated Second Crusade in front of this building in 1146. The 3 door portal carved between 1125 and 1130 is an example of early Romanesque art. 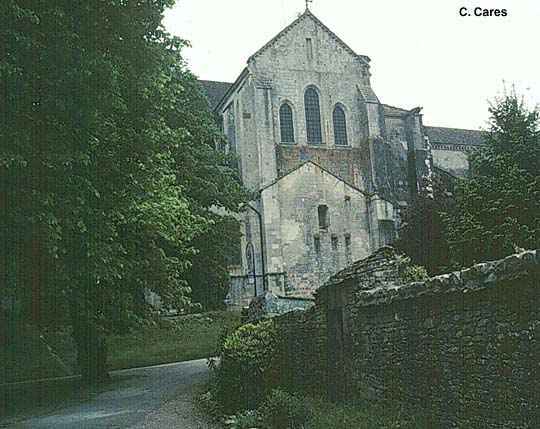 In 1146, the Second Crusade was preached here by Saint Bernard, and in 1217 the first Franciscan building in France was established on this site.